This small selection of Suttas is by no means comparably small in its importance and significance. For the realization of Dhamma is beyond any descriptive words or concepts: truth is not subject to measurement, comparison or classification. 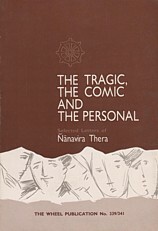 The Buddha and his noble disciples were skilled in the use of words as a means to guide seekers toward the very same realization of Dhamma that they had experienced – to a liberation from all troubles and burdens – but there is not always a need for elaborate explanation of all that one might experience in life. Rather, more meaningful is that which words inspire: the courage to go ‘against the stream’ of the world, and to put aside its mundane values. To move to silent abodes, forests or mountains, where silence and solitude afford the space to uncover hidden weaknesses, and where there may develop an opportunity to examine and understand the phenomena of subjective experience at a most fundamental and universal level. In short, the invitation implicit in these Suttas is to actually do the work which can bear the fruit of liberation. The book presented here thus contains words which perhaps touch the deep truths of life in a most condensed way. The silent sages of the past were not interested in speculative studies, nor were they concerned with any kind of accumulation, either mental or physical. That was their nature. But they were, perhaps, in their individual ways, appreciative of some few words of the Buddha which they had come to hold in their hearts, and to recite regularly among shady trees, mossy rocks or calming streams – thus bringing the Buddha close to themselves (Cf. Itivuttaka 92). But this translation does not just honor the old hermits of a distant and forgotten era, when monks used to live close to nature and its dangers. This translation was actually made by just such a sagely hermit of the present age, living in a remote and simple jungle three-walled hut. He is living proof that real striving to be closer to the Dhamma is still a present reality. Moreover, the translator’s skill with the Pali language, perfected to a high scholarly level, has become, after almost five decades of secluded life, even part of his thinking mind. His remarkable linguistic expertise and precision speaks for itself in the pages that follow, confirming his remarkable qualification to translate those ancient words into a modern language. This fact alone makes The Silent Sages of Old of great value, a book that can rightly be treasured. The Venerable Translator and all other forest monks and friends who have been involved in this project wish to join in the spirit of the Silent Sages and therefore remain anonymous. PRINTING: If anyone wishes to print the book for free distribution, please feel very welcome to contact us and we would be happy to assist you. The Aṭṭhakavagga is the fourth chapter of an ancient collection of Buddhist scriptures known as the Sutta Nipāta. 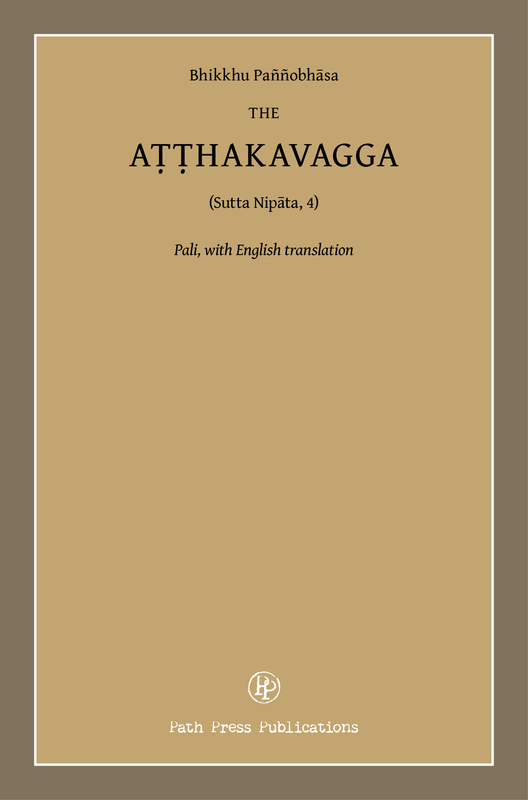 Although it is only a single chapter of a larger work, there is good evidence suggesting that the Aṭṭhakavagga existed in its own right prior to the compilation of the Sutta Nipāta, and that it was much better known and more influential in ancient times than it is today. This lapse into relative obscurity is unfortunate, as the Aṭṭhakavagga contains invaluable information for anyone wishing to better understand the earliest teachings of Buddhism, and also for anyone seeking the way of wisdom.